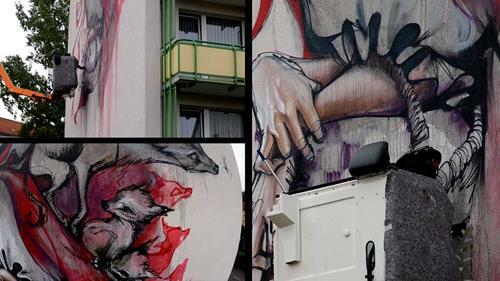 In September 2014 the Thuringian small town of Schmalkalden was ruled by urban art and graffiti. 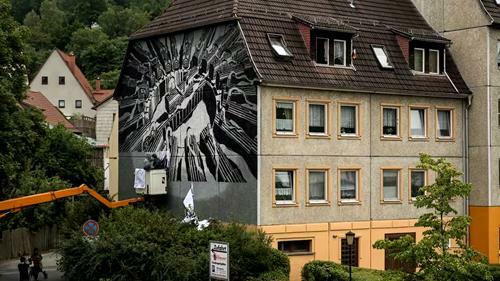 During its main event week, the urban art festival WALLCOME offered films, presentations, exhibitions and live-painting, introducing the many facets of graffiti and urban art. 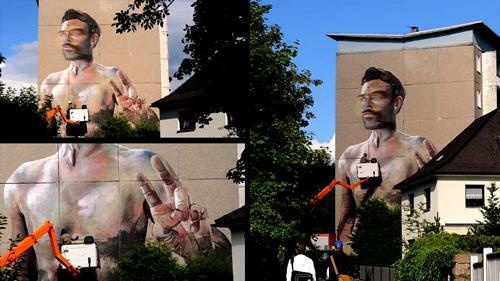 Now, only a year later, WALLCOME’s operators and organisers, including well-known urban artists like AKUT and CASE, look back on their work. 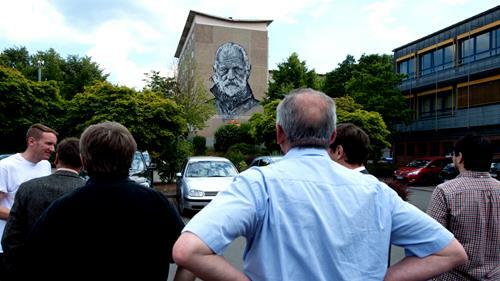 A documentary film captures all of the murals that the involved artists created for the festival.